Angela Orosz was born in Auschwitz in the dying days of the Second World War. She's returning for the first time to the death camp that claimed the lives of her father and other family members. Angela Orosz came into this world in one of the most horrific places imaginable. As thousands of Jews around her were sent to the gas chambers, Orosz's mother hid her pregnancy for months from her Nazi captors. On Dec. 21, 1944, Orosz was born in Auschwitz. Within the month, Orosz and everyone else who had managed to cling to life in the desolate camp were liberated. 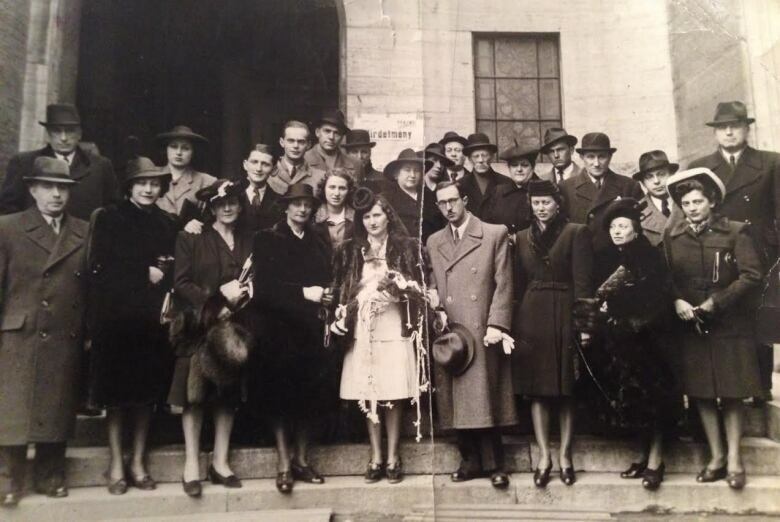 Seventy years later, Orosz — now a Montrealer — is returning to her birthplace to honour those who perished there, in an act of defiance against those who tried to erase her future. "I was offered the trip, and I was very hesitant to take it, but my kids pushed me," Orosz said, just days before leaving for Poland. "My daughter said, 'We have to go there, and we have to show it that we are alive, we have [a] big family, and we have to show Hitler didn't achieve what he wanted.'" About 300 former Auschwitz prisoners are travelling to Oswiecim, Poland, to pay tribute on Jan. 27. They will gather at Birkenau's "gate of death," the unloading ramp at the camp's rail entrance. Some 1.1 million people passed under the camp's infamous sign "Arbeit Macht Frei" (most often translated as "Work Will Set You Free") between 1940 and 1945. 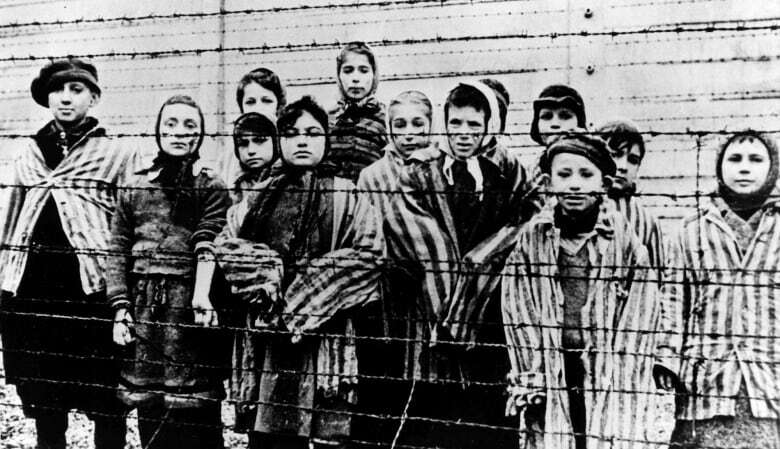 Most of them would never leave, murdered in the camp's gas chambers. Only about 200,000 people are believed to have survived that fate. Orosz and her mother were among them. 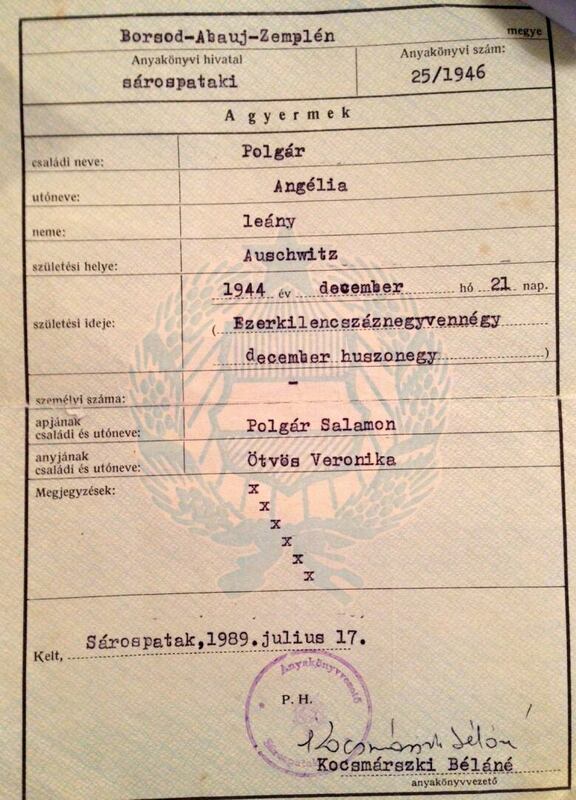 A newborn at the time the camp was liberated, Orosz is one of the youngest Auschwitz survivors. She has never been back. Her parents met while her mother, Vera Otvos, was working as a nanny and her father, Tibor Bein, as a lawyer in Hungary. In 1943, they were married. A year later, they were forced into a Jewish ghetto and, not long after that, onto a train bound for Auschwitz. Orosz's mother was two months pregnant when she arrived at the camp and last saw her husband. She hid the pregnancy from her captors. Her father, grandparents, aunts and uncles all perished in the camps. "I grew up without family. We didn't have families. Everybody passed away in Auschwitz," she said. "It's a lot of candles I have to light there." The Red Army freed 7,000 of the survivors from Auschwitz on Jan. 27, 1945. Amid the scramble to find loved ones and food and other supplies, Orosz's mother met the man who would become her child's stepfather. 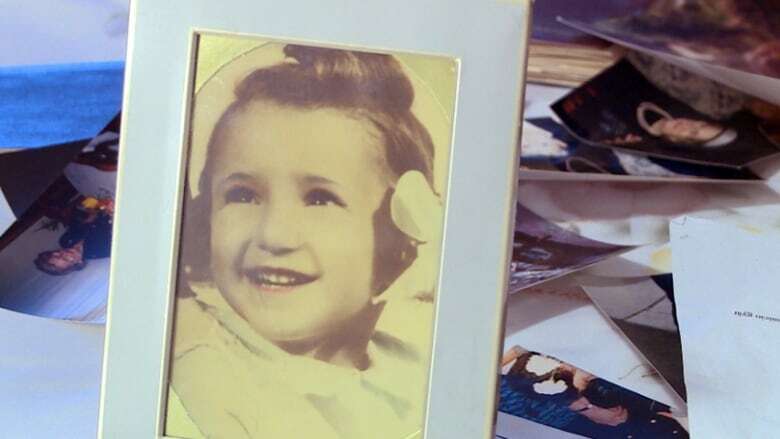 "My stepfather found my mother, and he heard I was born, and he was the one who said to my mother, 'This baby needs a birth certificate,'" she said. "My mother said, 'This baby has to leave, I don't care about a birth certificate.' But he went into Auschwitz and got the birth certificate for me." The pair met again the next year and married a short time later. "I lived the most beautiful life with him. He spoiled me," Orosz said of her stepfather. She remained an only child because her mother was left sterilized from experiments performed by the notorious Nazi "Angel of Death," Dr. Josef Mengele. Orosz's mother shielded her about the horrors within the gates of Auschwitz for most of her life. However, 70 years later, even though she has no memory of the concentration camp, the guilt lingers. "I was very afraid to see the place where she was suffering," Orosz said. "She was pregnant, and when you’re pregnant, maybe you don’t feel top of the world, and I was the cause for it. All the suffering she had to go through. She was always telling me, 'If you don’t have memories, don’t go [after them].'" The only details she knows about her mother's time in the concentration camp came in the form of an audio recording her daughter produced for a school project. She still has that tape. Each year, Orosz's mother would mark the day of the liberation. She would cry inconsolably for those who never left the camp alive and relive the day when she was finally free of her Nazi captors. 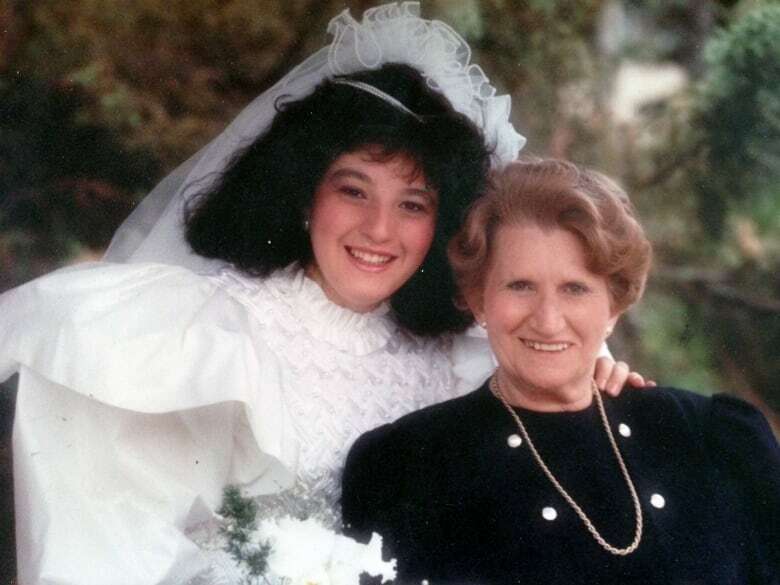 When she died in 1992, her daughter believes, she held on to life an extra day in order to mark that anniversary. "She died on Jan. 28. We said she just wanted to pull through and not die on Jan. 27. We were convinced of that." 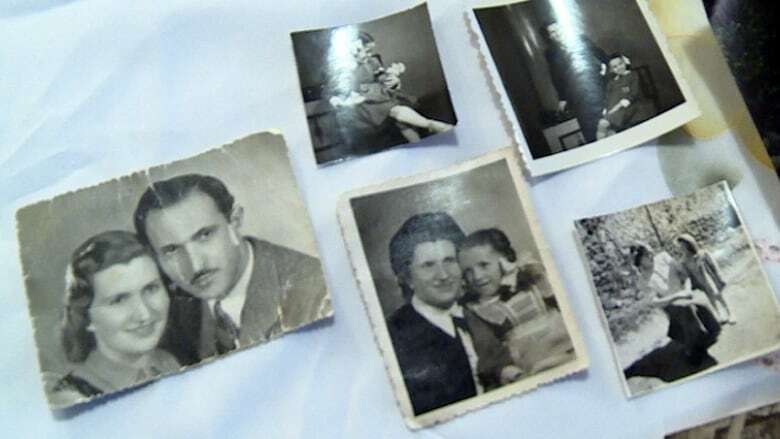 Angela Orosz's family snapshots include an image of her mother and father (far left).